Ludwig Hohlwein was not the only European poster artist who inspired Californian citrus label painters for their work. 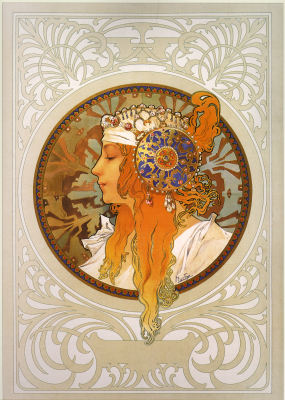 Another example is Alphonse Mucha (1860 – 1939), a Czech painter and decorative artist, one of the leading protagonists of the so-called youth style. 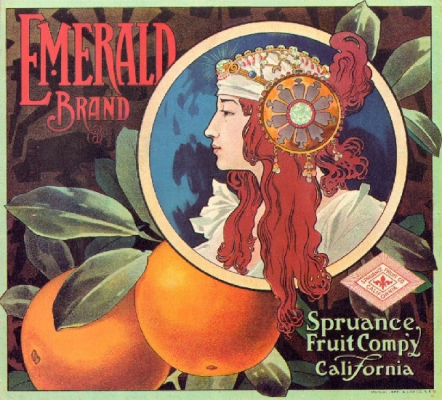 Please compare the label “Emerald” with one of Alphonse Mucha´s paintings. It was not easy to find the exact template for “Emerald” as Mucha has created a large number of such youth style beauties of various kinds. This one is the “Blonde” out of a series of “Byzantine Heads” from 1897. Mucha did not work so much for commercial, but mainly for decoration purposes, such as wall panels, book illustrations etc. He believed that beautiful artwork would better the world and felt dedicated to bring it to the average people. 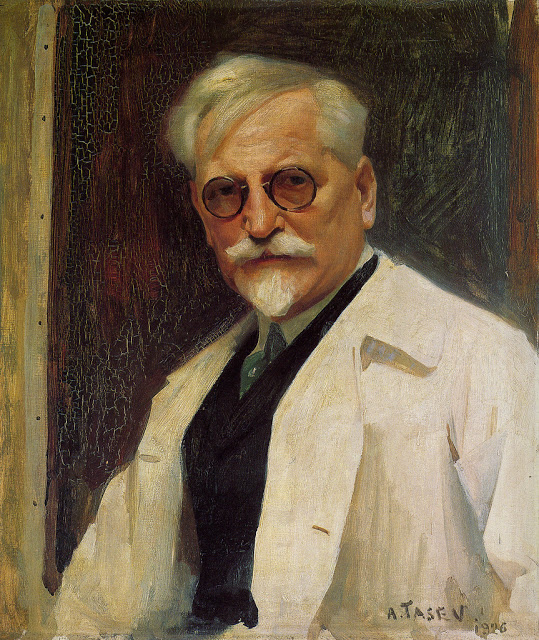 The above portrait of Mucha was painted 1926 by A. Tasew in Warszawa.